I took some time to read this book and it is so powerful! 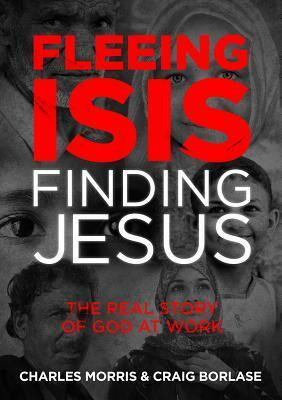 Fleeing ISIS, Finding Jesus follows Charles as he travels around the Middle East to meet with the persecuted Christians. Most of the book consists of their testimonies and reading them reminded me of how terrible things are there, and how God is working in them and through them. Some of the believers were from a long line of Christians and lost everything when ISIS took over. It was painful to read of how many of them trusted their Muslim neighbours to take care of their houses and possessions, only to find out that their neighbours had taken their things as theirs. But it was uplifting to see that despite all this, they still forgive and love them. Some of the believers were Muslims who came to Christ and experienced terrible persecution. But for them, no price is too high for the peace they receive and their words and actions reflect the love of Christ as well. These people truly are heroes and there is a lot that I have to learn from them. "I look at the West and wonder if Satan uses our affluence to limit the growth of the Church. [...] So we give God a Sunday morning but love the other six days of the week for ourselves. Where real persecution happens, you're not afforded that. You have to call on God multiple times a day." From the testimonies of these brothers and sisters in Christ, we see that God is always present, even in the toughest circumstances. So God wasn't silent like Rodriguez assumed. He was always with the Christians of Japan like He is with the Christians in the Middle East. This book isn't a comfortable read - my heart kept breaking when I read about the suffering that those in the Middle East are going through. But it is a book that we have to read, because we need to open our eyes, and we need to keep working for the persecuted and those that are suffering right now.